Moscow has always been a central point of Eastern Europe and Russian culture. Now it remains the biggest treasurer for every art connoisseur. There is no strict dress code in Moscow museums. However, if you are going to explore ancient churches and holy places we recommend more conservative outwear. Women should have their heads covered. All state museums and galleries are free every third Sunday of the month. 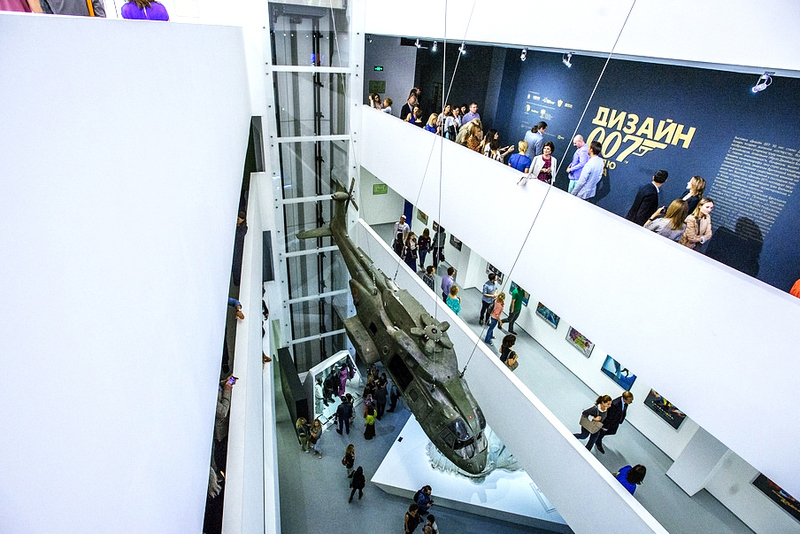 Some of the Moscow museums are free on holidays, and during the «Museum days» and «Museum Night». If you’re looking for great cultural tours around art points of Moscow, we have a great MOSCOW ART & DESIGN TOUR, available for you everyday except Mondays. 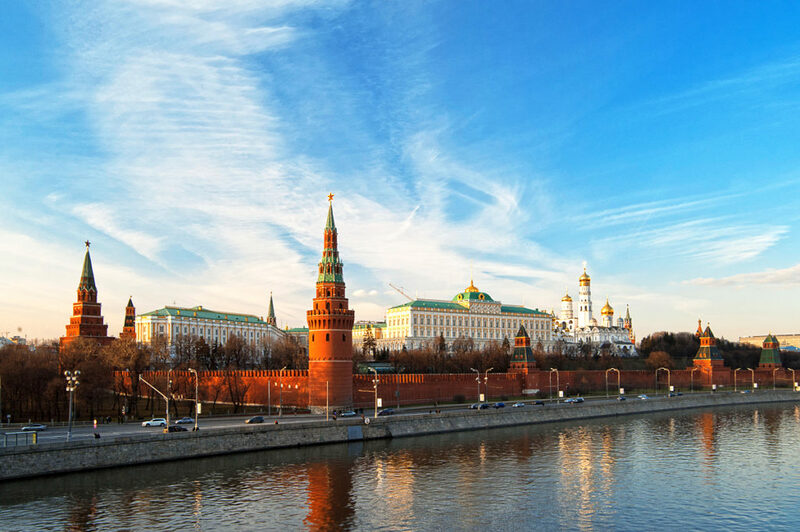 Don’t miss a chance to see the very heart of Moscow, the Kremlin, the symbol of the Russian State, one of the greatest architectural ensembles in the world, a treasury of unusual relics and monuments of art. It is situated on a high Borovitskiy hill above the Moskva River, so you’ll be able to see a spectacular view of the city center. The famous Armory Chamber and the Diamond Fund are real treasure-houses, where you can see ancient Russian regalia, ceremonial tsar’s dress, church hierarchs’ vestments, arms, gold and silverware by Russian, European and Eastern masters. The Kremlin is the official President’s residence and remains a gorgeous political landmark. The UNESCO has included the ensemble of the Moscow Kremlin in the World Heritage List. Ivan Zabelin, Aleksey Uvarov, and several other Slavophiles founded the State Historical Museum in 1872 to promote Russian history and national self-awareness. During its century-long history, the museum has collected more than 4.5 million of valuable items and over 12 million pages of documental archives. Its exhibitions range from relics of prehistoric tribes that lived in the territory of present-day Russia, through priceless artworks acquired by members of the Romanov dynasty. 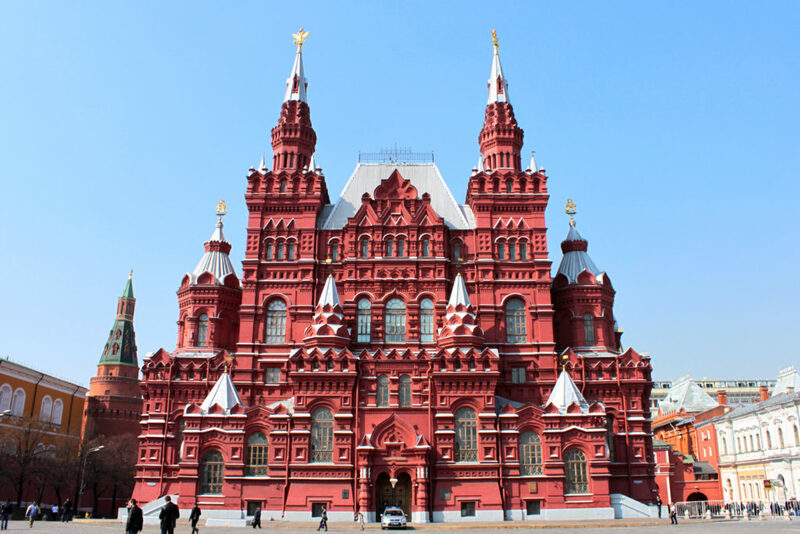 The museum’s historical building which was reconstructed and equipped to meet all the visitors requirements is on the Red Square. The State Tretyakov Gallery takes a special place among the national art museums of the world. 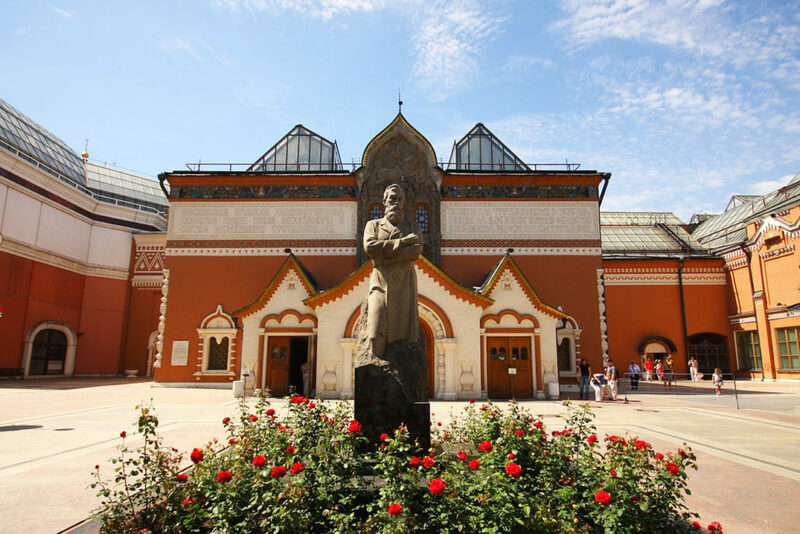 Established with the efforts of one person, the dedicated collector Pavel Tretyakov, it possesses a unique collection of Russian art, more than 150000 masterpieces, created by famous Russian artists throughout the centuries. The historic building of the State Tretyakov Gallery at Lavrushinski Lane presents Russian art from the 11th through the early 20th century. The state Tretyakov Gallery at Krymsky Val has an excellent collection of Russian art of the 20th century, modern art and holds temporary exhibitions. 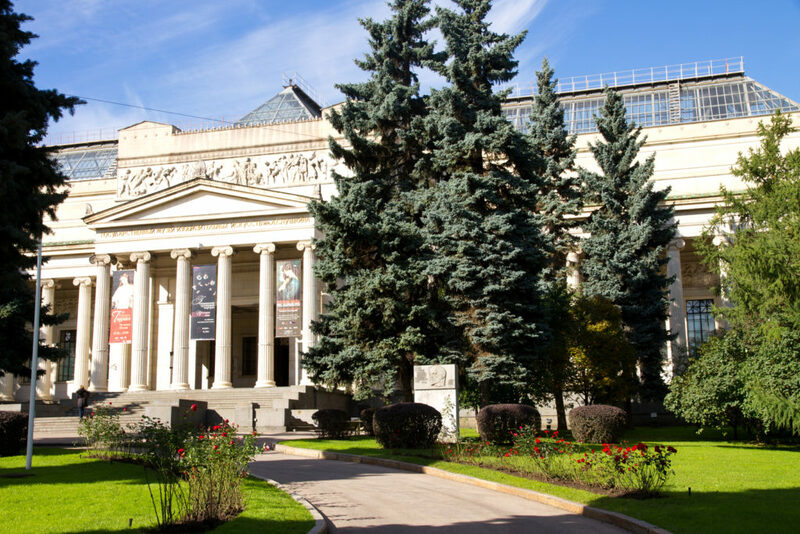 The Pushkin State Museum of Fine Arts is one the largest European museums of fine art. It has one of the most remarkable collections of fine arts in Russia that consists of artworks from ancient times to the present day. Visitors can see great paintings by world famous artists: Rembrandt, Botticelli, Canaletto, Tiepolo, along with the remarkable collections of Impressionists, Post-impressionists, modernists: Monet, Cezanne, Van Gogh, Picasso and others. Moreover, the museum holds the private collectors’ galleries, many of were inaccessible to public for many years. Moscow Museum of Modern Art specializes in the modern art of 20th and 21st centuries. The famous Russian artist and sculptor Zurab Tsereteli has founded it. The museum is located in four historic buildings in Petrovka Street, Gogolevsky Boulevard, Ermolaevsky lane and Tverskoy Boulevard. The museum’s collection depicts the development of avant-garde. The largest part of the collection consists of masterpieces of Russian artists, but you can also find works by Anri Russo, Joan Miro, Pablo Picasso and many others. The Planetarium in Moscow first opened its doors in 1929. After a global reconstruction, it was reopened in 2011. 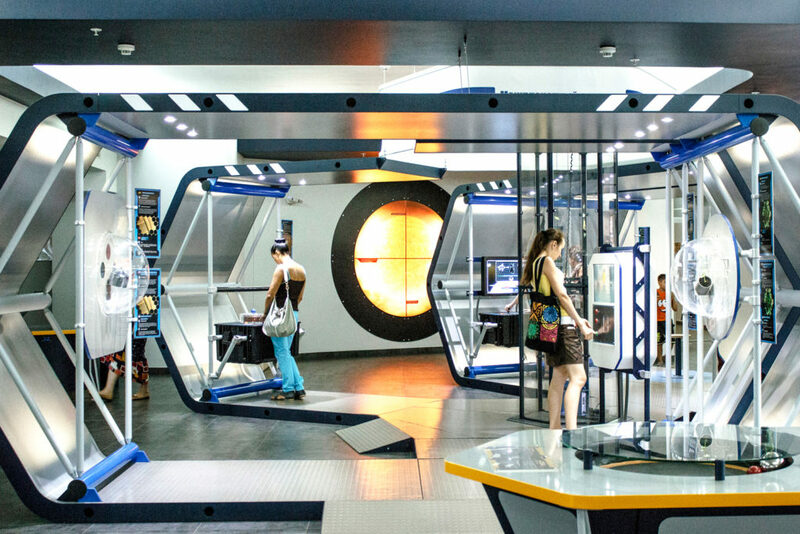 Now it is a multifunctional complex that combines scientific and educational resources: the interactive museum «Lunarium», the Museum of Urania, the Big Star Hall and the Sky Park, family recreation center, that focuses on different age groups. The Moscow Planetarium is one of the biggest planetariums in the world. The museum is a kind of independent platform aimed to disclose and reveal a new way of thinking. The Garage Center currently reflects the contemporary innovations of national and world’s culture. It invites you to the beautiful world of modern art, showing its best pieces. This center offers a great number of various exhibitions, educational projects for kids and adults, and publishing. The Garage Center is also called The Museum of Everything. It provides ways and reasons for public dialogue and the creation of progressive ideas. 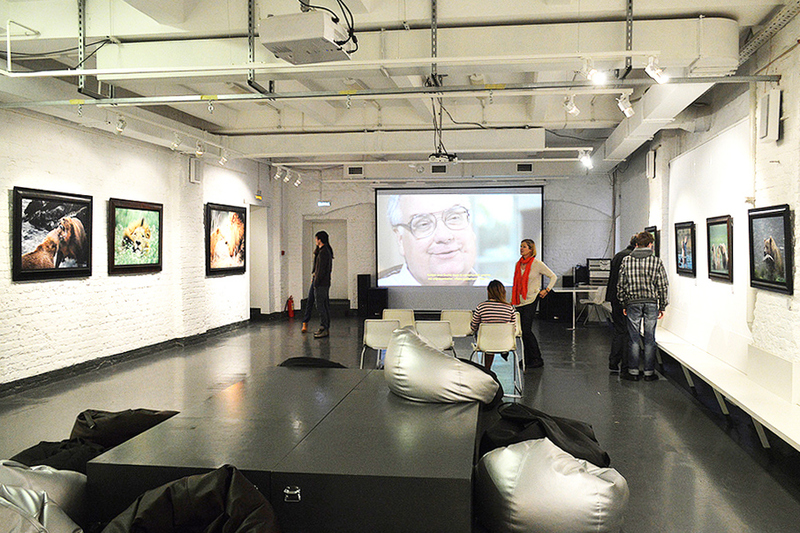 The Multimedia Art Museum opened in October 2010 at the base of the Moscow House of Photography. One of the main principles of MAMM s work is complete openness to the new forms of visual expression and for the fresh, innovative trends in the Russian and foreign media art and photography. There are seven floors of spacious exhibition halls and minimalist architecture that is a great font for modern art. The exhibition history of MAMM and Moscow House of Photography counts more than 1300 exhibitions in Russia and abroad. 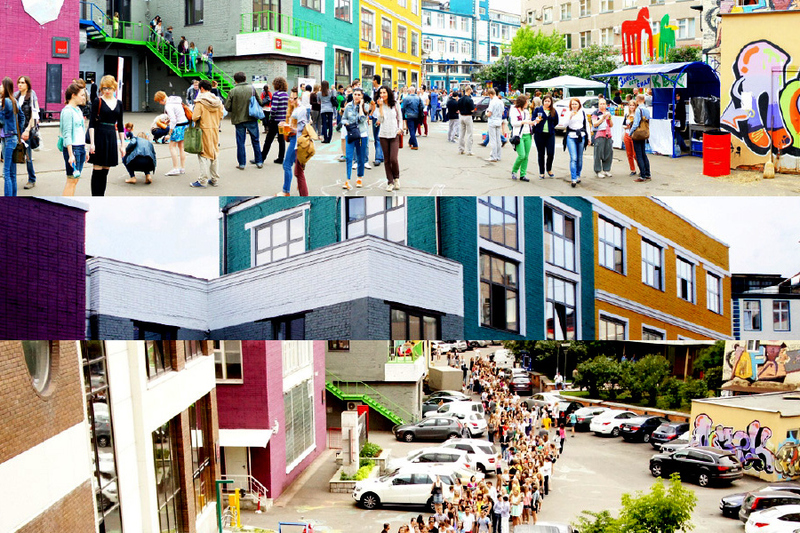 Moreover, Multimedia Art Museum has different educational programs and holds famous Moscow art festivals: Photobiennale, «Fashion and Style in Photography» and others. 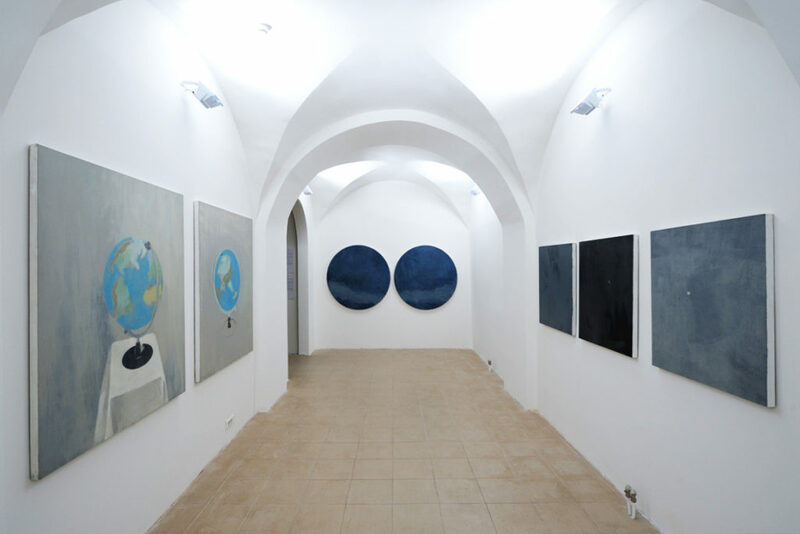 This modern photo gallery is located in the very heart of Moscow, next to the Kremlin, Cathedral of Christ the Savior, big art galleries, design studios famous clubs and restaurants. The photography Center houses in an old and huge mansion at the Moskva River Embankment. Lumiere Brothers Photography Center has three huge exhibition rooms, lecture hall, library with an immense collection of rare books in photography and an independent bookshop. The Center is conducting research work, organizing educational projects, providing a base for the future Russian Museum of Photography. 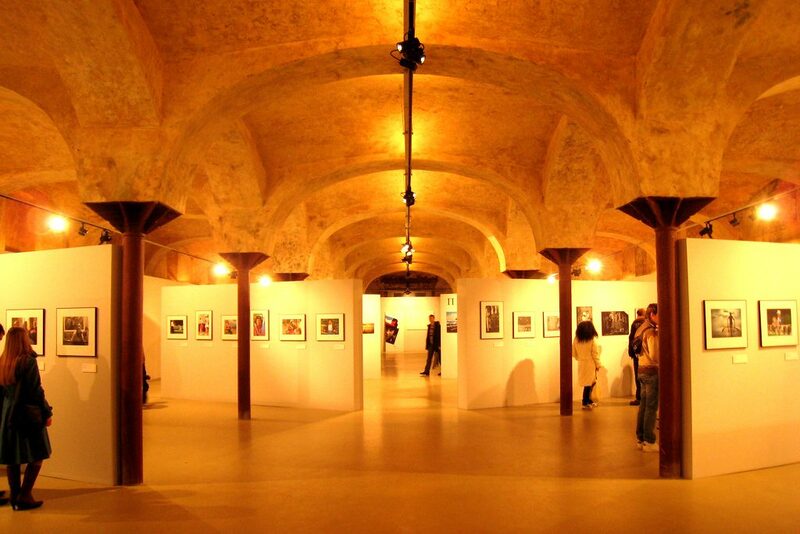 Winzavod (Wine Factory) is the first and the biggest Center of Contemporary Art in our country. It unites all the areas of modern culture: exhibitions, festivals, lecture programs, cinema, concerts, theater premieres. You will find here a big amount of art galleries, artists’ workshops, designers and photographers studios, art cafes, fashion showrooms, a bookshop, children’s studio and many other things. The purpose of Winzavod is to support and to develop Russian contemporary art, art initiatives and help talented young people. Visiting Winzavod you will see the art that defines not only today’s but also tomorrow’s life. The Manezh was built in 1817 in honor of the 5th anniversary of Russia’s victory in the 1812 war. Then it was called «Exerzierhaus», building, intended for military drills. The building has the unique construction – wooden structure trusses overlap the space of 44.86 square meters without any intermediate supports. After 1917, Manezh served as a garage for government vehicles. And since 1957 it has been continuously used for exhibitions and public events. In 2004, the building was severely damaged by fire. Renovated in 2005 the Manezh doubled its area. Nowadays it is one of the leading Moscow exhibition halls. There are two exhibition spaces, a conference room and a cafe on the third-floor observation deck. The Manezh hosts numerous fairs, festivals, and exhibitions. 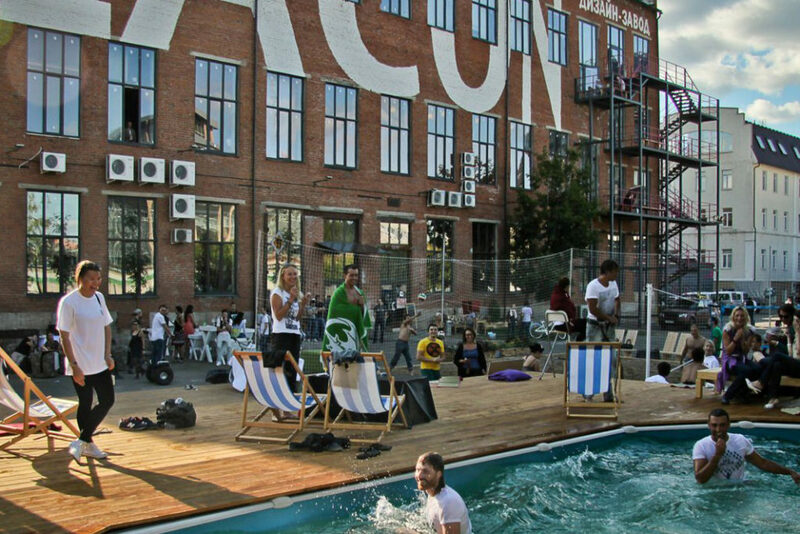 Flacon Design Factory, located in the territory of a former glass factory, has become a pioneer in the revitalization of industrial zone outside the historic center of Moscow. Flacon has become a powerful launch pad for multiple cool projects, self-expression of creative individuals and carrying-out of sociocultural initiatives. No wonder that the atmosphere at Flacon entirely coincides with its motto: «Create as you please!» The Factory includes offices, co-working zone, shops, workshops, exhibition and creative projects spaces. Lectures, film screenings, fairs, design festivals, innovative exhibitions, presentations, concerts, limited actions and design community work days pass here weekly. Artplay is near Winzavod in the former industrial space in the area Kurskaya metro station and occupies an area of 75,000 square meters. Artplay, providing a new life to carefully reconstructed factory buildings, has become an important part of the contemporary cultural landscape of the city. Artplay unites designers, architects, furniture, lighting, ceramics, decorative materials shops, involving them in cooperation with each other. Young Moscow galleries, artists’ studios, cafes, bars, bookstores, music club, school of design, theater, children’s art studio are also situated here. Three exhibition halls regularly host contemporary art exhibitions, festivals, video art, alternative music concerts, performances, film screenings, lectures and master classes. 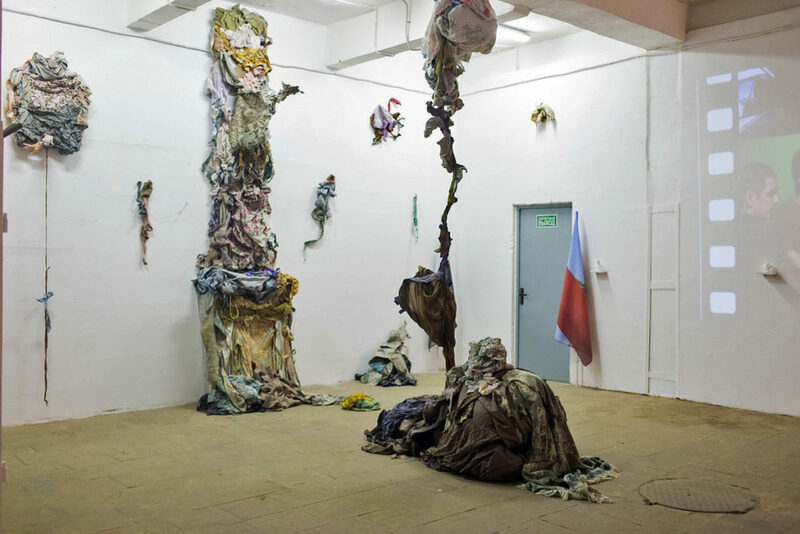 The Center For Creative Industries «Fabrika» is an art space for non-commercial creative projects. Today it is the example of peaceful coexistence of art business, operating enterprise, production, and workplaces for talented people in Moscow. 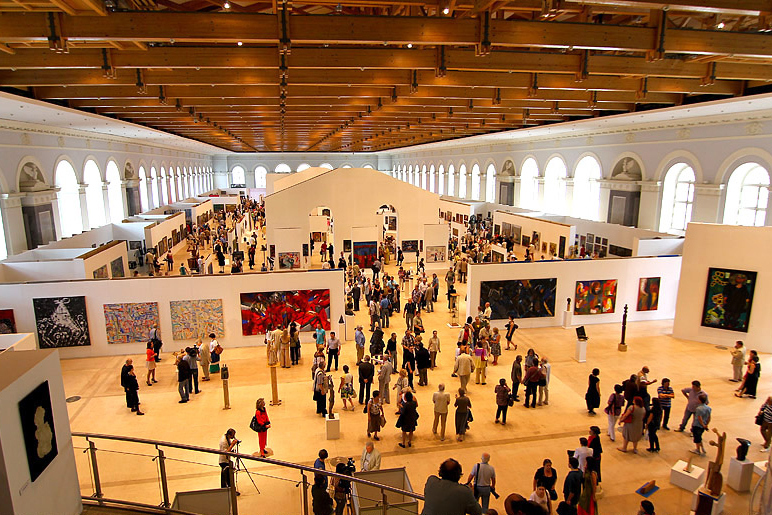 CCI Fabrika is a member of the international network of non-profit cultural centers – Trans Europe Halls. This project is a typical umbrella-center. It is developing in both ways: creating and exhibiting its cultural projects and offering workspaces for other creative groups. Here you can find art studios and workshops of design, architecture, cinema, theater, cartoon animation and contemporary music studios. 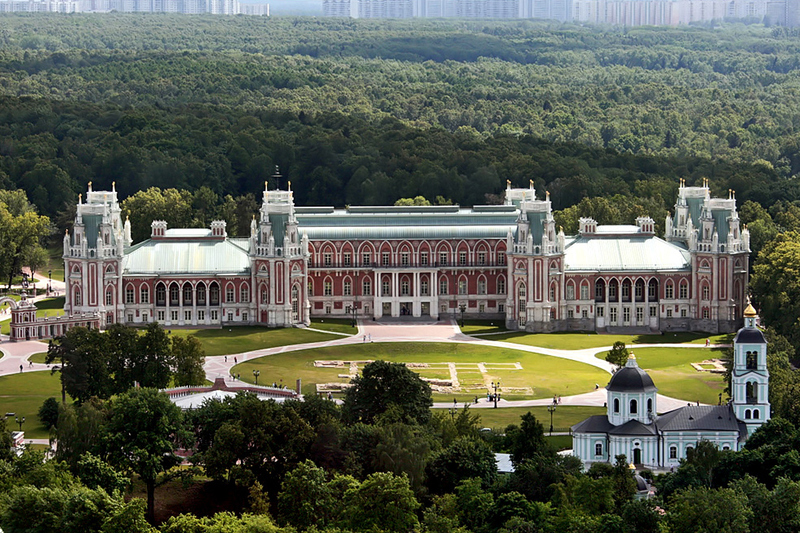 Tsaritsyno State Museum-Reserve is one of the largest historical, cultural, recreation and touristic complexes. Its total area is more than 700 hectares. It is an excellent combination of nature – marvelous rivers, ponds, streams, forests – and scientifically restored and renovated architectural and landscape monuments. The museum’s collection of historical items, exhibitions, and educational programs will be attractive for both national visitors and foreign tourists. Russian cultural monument is a good sublimation of the stunning beauty of a green space and luxurious collection of paintings, sculptures, unique books and pieces arts and crafts. During its long history, the estate was used as a recreation place for emperors, politicians, famous writers and poets. 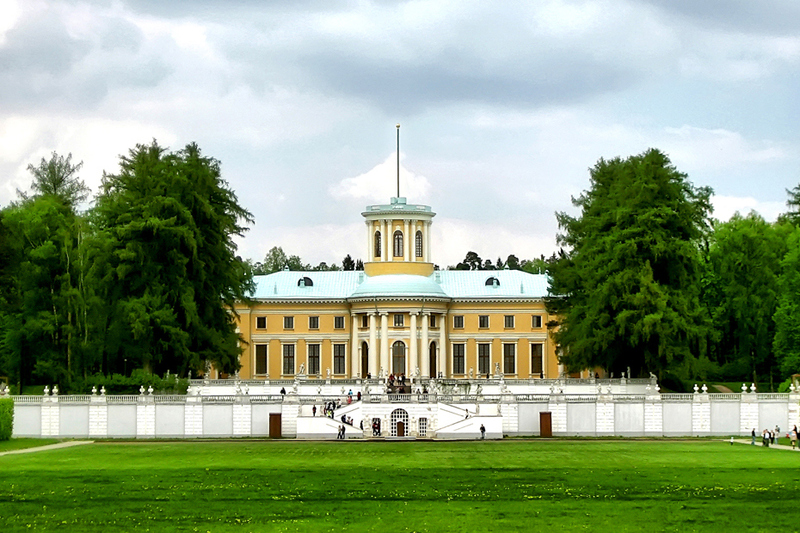 Today it is the finest place to have an enjoyable walk and to see the richest collection Russian art. 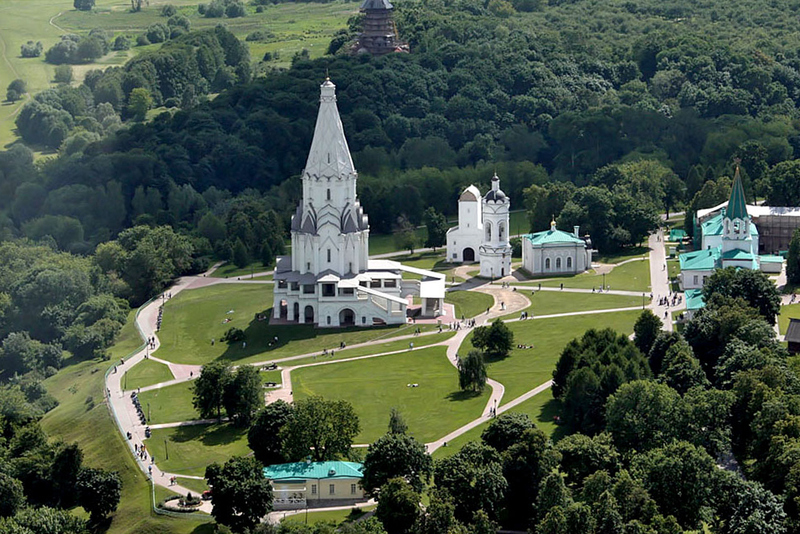 A unique historic place – Kolomenskoe – is situated in the picturesque surrounding over the Moscow River banks. A magnificent country estate has appeared at the lands full of legends. Archeological discoveries state that the first settlements appeared here in the VIII century. It is an ancient and uniquely formed place. Today this is a unique complex of cultural monuments of high historical value. Museum of Sergiev-Posad is a historical and art reserve. It is located within the unique wall of the St. Sergius Trinity Lavra. This ancient monastery gathered its treasures during centuries from the tsars, princes and boyars donations. Moreover, many art and craft items were made at Lavra’s workshops. Now, the collections of Sergiev-Posad Museum-Reserve include rare, ancient icons, Cyrillic alphabet books, medieval manuscripts, visual art items, gold and silver showpieces.